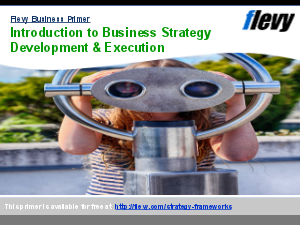 This toolkit is to help companies to articulate its corporate strategy, identify market differentiators and critical business processes, develop key performance indicators, and align all these elements together to achieve its strategic objectives. It also contains a full set of strategic input sheets for a business function (eg, finance) to develop its own functional strategy, KPIs and action plan. Growth Strategy? Vision Statement? Problem Solving? Or something else.